Laura Grundler is a visual arts coordinator in Plano, Tx., and the cofounder of #k12artchat. It’s a bit weird admitting this as @GrundlerArt, but there was an almost-seven-year period that I didn’t create art. As a kid, my life was constant creativity—it was my zone of happiness when many things (like school) were not so happy. College was all about art, culminating with a degree in art and education licensure. 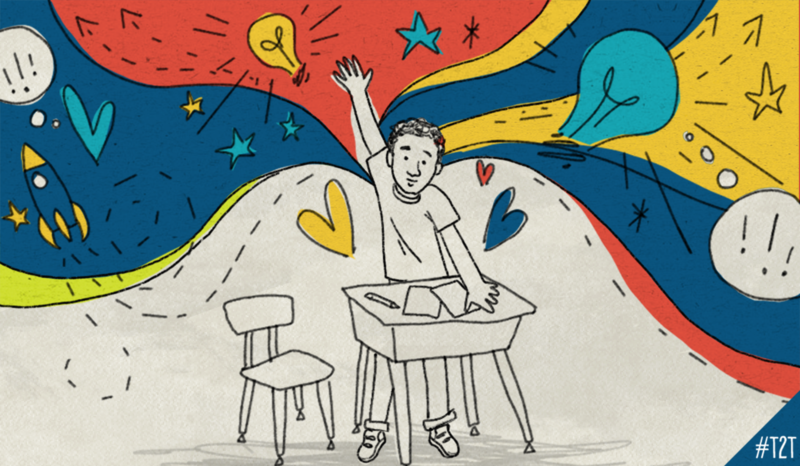 From there, I quickly found myself educating adolescents in a middle school art classes; I found art filling kids’ souls with a bit happiness and allowing their confidence to rise and shine. So how could a person like me not make art? Life. It happens to all of us and sometimes it steamrolls you. In 2005 I found myself being recognized in my district for outstanding teaching and was encouraged to get masters in educational administration. In 2006 I had our oldest child, Owen, and eight weeks later I lost my mother and educational guru to cancer. That fall I was pulled out of the classroom and into my first administrative role before even finishing my master’s degree. In 2007 I finished my masters and moved up to another admin role in a new school. After two more children and one more administrative role, I found myself wondering where the art went and where my path was heading. Was I doing what I was meant to do? There had to be a better fit. 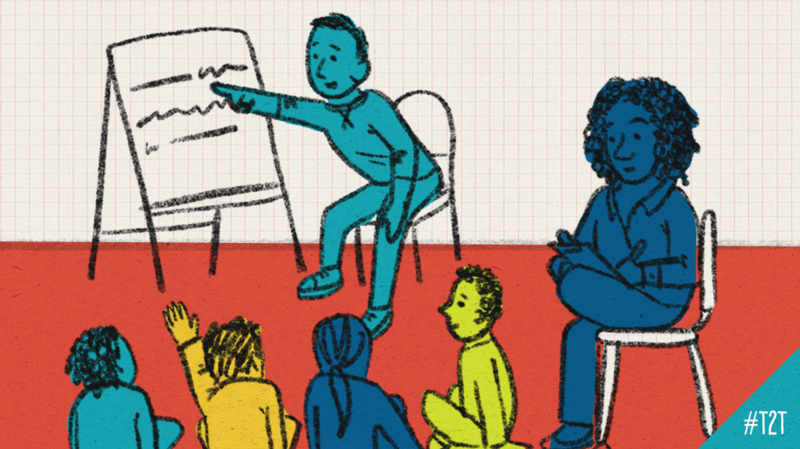 There was a lot about being an administrator I loved, such as coaching teachers and finding creative solutions for individual students and families, but at the end of the day there one big thing missing: art. Where would I be able to blend a love of art and leadership in a district that I was profoundly loyal to? After serious reflection and discussion with my husband, I was determined to make a change. This was my lightbulb moment: art and education were a non-negotiable part of my being. I was prepared to return to the art room when our district art coordinator announced she was retiring and two years later, here I am in the role, supporting 98 amazing K-12 educators. I have the honor of directing and writing curriculum, blogging and sharing with a worldwide professional learning network through social media. Life. Life has changed. My husband and I spend time talking about art and lesson plans, we take our kids to museums, we make more art as a family and we connect to larger community of art educators. Life is still super busy (maybe more so—kids are growing and we are going every direction imaginable), but we make time to create. I find myself drawing daily, mostly on my iPad, another lightbulb moment. It used to be to make art I need a bunch of stuff; now all I need is an iPad and stylus. This is big, because my art is also in my photostream, and as I learned from the amazing Cathy Hunt, it only takes a scroll through to see one’s creative process. If we want to model the importance of art in our children’s lives, we have to make art and be willing to put ourselves out there by sharing it. We have to take the constructive criticism along with the praise in the same way we wish for our students to learn from critiques. Some people exhibit in galleries or coffeehouses, but in my world, exhibiting is done on Instagram and Twitter, and creating on the iPad makes this extra easy. Here are a few examples of things I share, from digital drawings/paintings to sketchnotes. They’re mostly started while I’m listening in meetings and finished sometime later in the few quiet moments after the kids have gone to bed. Sharing my art, thoughts on art and co-creating #K12ArtChat with my husband, Matt, has also opened doors beyond what I could have imagined. We’ve connected with a tremendous group of uplifting educators from around the world, including a few in our own backyard. In fact, we are now good friends with fellow Texan Chris Parker, who nominated me for ECET2. 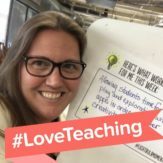 There I connected with Janine Campbell and found my love of education and passion for teaching heightened beyond belief by connecting with and hearing truly inspirational “Why I teach…” stories from phenomenal teachers. From there another Twitter colleague, Tim Needles, asked Chris, Janine and I to collaborate on a digital work of art for Teacher2Teacher. The photo below shows two of my sketches and the final collaborative work that was submitted. And beyond anything of our wildest dreams, it made it onto The New York Times homepage! 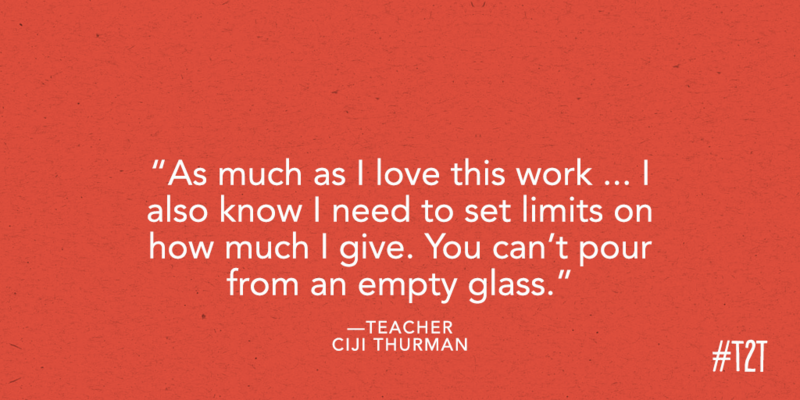 Most recently, I was over the moon to be contacted again by Teacher2Teacher for their back-to-school social media headers to share about teachers’ lightbulb moments. It was about a month-long process of bouncing emails and images back and forth, and as you can see in the image below, the final image is dramatically different from the initial ones. Once you begin looking, you won’t be able to stop exploring. I have to end with a quote from Elizabeth Gilbert, author of Eat, Pray, Love and Big Magic: Creative Living Beyond Fear: “Creativity itself doesn’t care at all about results—the only thing it craves is the process. Learn to love the process and let whatever happens next happen, without fussing too much about it. Work like a monk, or a mule, or some other representative metaphor for diligence. Love the work. Destiny will do what it wants with you, regardless.” This couldn’t be more true. I deeply believe, at the core of my lightbulb moment, that it’s the process of creating that matters. Children must have the creative process in their lives. It’s essential to the human spirit and I’m lucky enough to help make it happen. Connect with Laura on Twitter @grundlerart and visit her blog at grundlerart.com. Laura Grundler is a visual arts coordinator in Plano, Tx., and the cofounder of #k12artchat. Connect with Laura on Twitter @grundlerart and visit her blog at grundlerart.com.